Embarrassing as it might be to think back on in retrospect, for much of the 1930s Turkish statesmen were quite concerned about the possibility of an Italian invasion. After taking Libya from the Ottoman Empire, Italy occupied part of Anatolia after World War One and maintained control of Rhodes and the other Dodecanese Islands just off the coast throughout the interwar period. 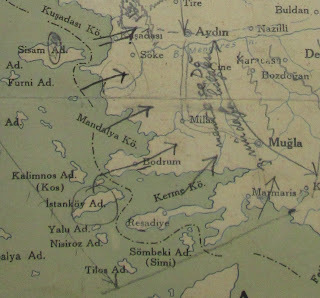 Mussolini's talk of rebuilding a new Roman Empire in the Mediterranean became even more concerning during World War Two when Turkey, as can be seen to the left, found itself surrounded. 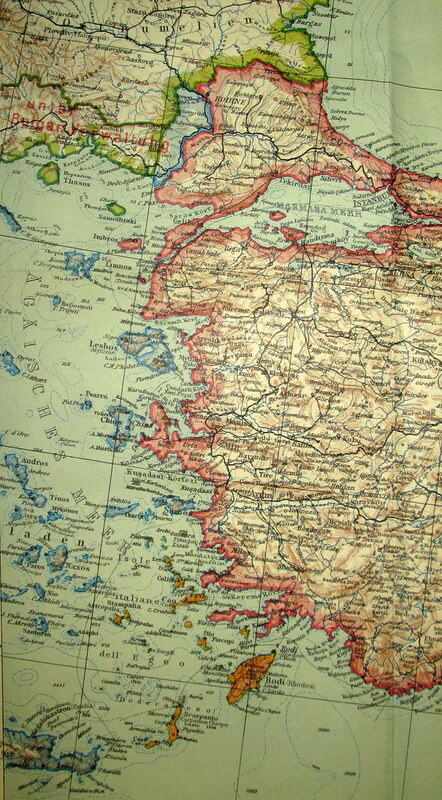 Greek Thrace appears as "Unter Bulgar Verwaltung," which even without knowing German sounds bad, and even the Greek islands not formally colonized by Italy were under Axis control. 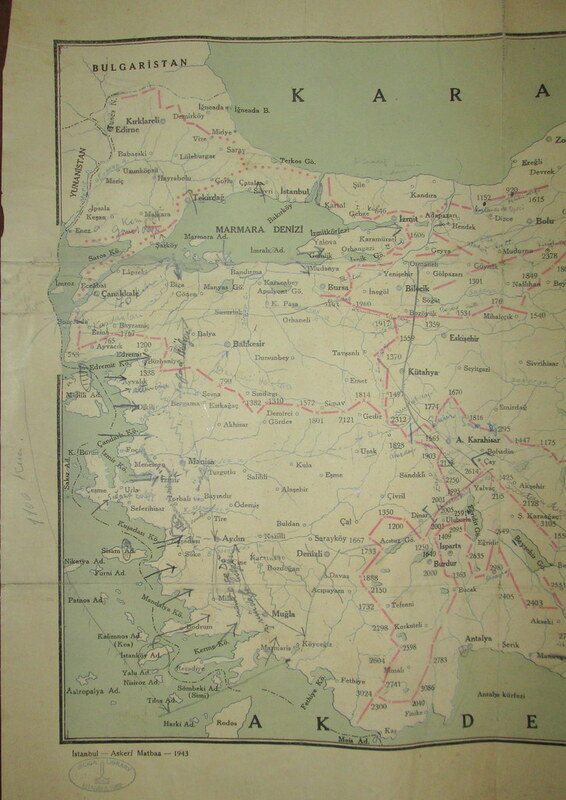 This map, then, shows Turkish plans for countering an Italian invasion during the war, sketched out in pencil on a map of Anatolian mountain ranges. 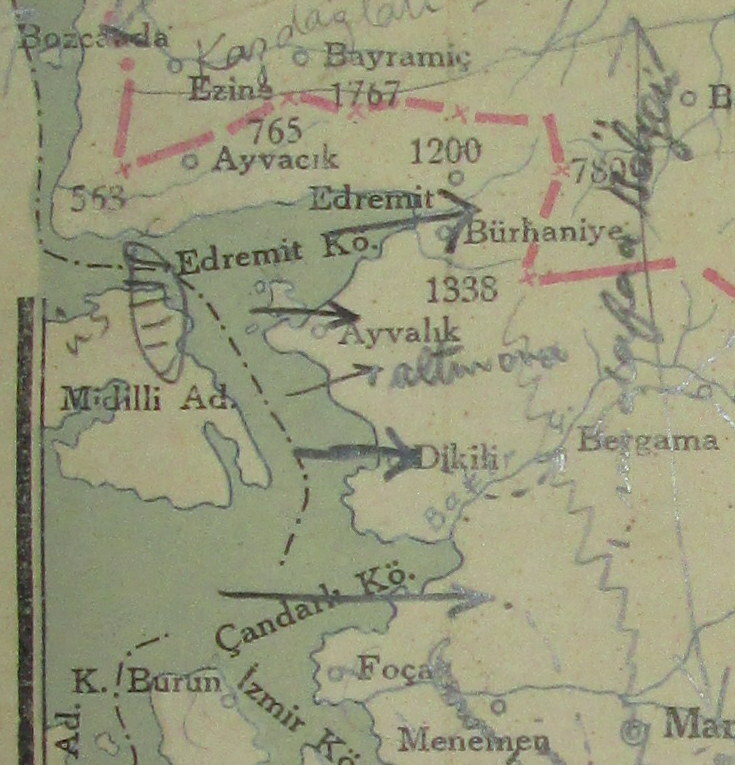 As with so many of the random Ergenokon documents that turn up, it's impossible to know if this represents an official military plan or just something some guy drew, but it does suggest a few interesting things about Turkish strategic thinking at the time. 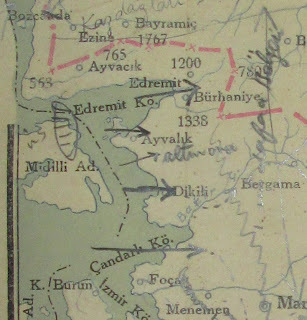 Mudafaa Bolgeleri, or defensive regions, are sketched out parallel to the coast a little ways inland from potential landing zones, while a second defensive line is drawn further east running from the Sakarya River down through Afyon Karahisar. 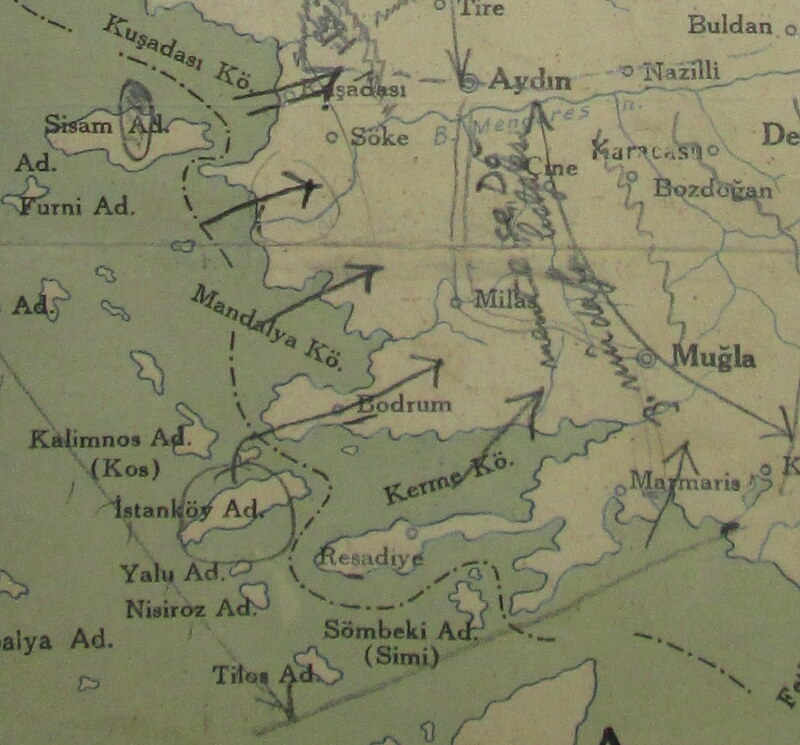 Also intriguing is the fact that, despite Turkey's success in defending the Dardenelles during World War One, they seem to assume that Italian forces will be able to pass through and land along the shores of the Sea of Marmara.